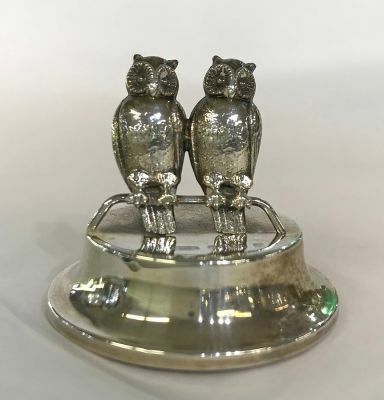 Antique sterling silver double owl form place card holder. English hallmarks for Birmingham 1906. 1 1/2” high, 1 5/8” diameter at the base.